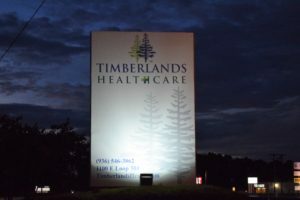 After almost a month, there may finally be a glimmer of hope on the horizon for the beleaguered hospital facility, which closed when Timberlands Healthcare locked the doors. During a meeting of the Houston County Hospital District (HCHD) Board of Directors held on Tuesday, July 25, Board President Deborah Porth Blackwell provided the community with a bit of much needed good news. “Immediately upon closure of the hospital, members of the (HCHD) board began meeting with various individuals and organizations with the hope of finding a partner to stabilize the healthcare in our community,” she said. Blackwell indicated the board realized a need to secure doctors and advanced practice providers to run the rural health clinic. “We were committed to trying to reopen the clinic. Much discussion was held with those providers who were also committed to staying in the community. 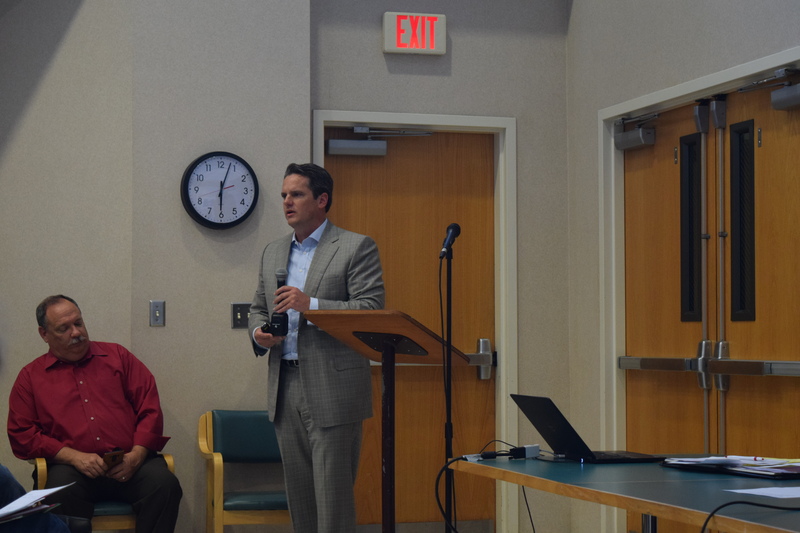 We held our first meeting with CHRISTUS Trinity Mother Frances health systems on July 5, less than a week after the hospital closed,” Blackwell said. Next, Blackwell introduced Scott Schmidly, Group Vice President, Strategy and Business Development CHRISTUS Health Northeast Texas Region. Schmidly provided a brief background sketch of CHRISTUS and then discussed the healthcare provider’s vision for Houston County. “What we envision is having a physician and a physician extender model of care. We are working with the providers, both at the Crockett Clinic and/or those who worked at the rural health clinic to come into the CHRISTUS Trinity health clinic. Our hope is to retain the providers you and your neighbors have been seeing for so many years and to stabilize that,” he said. The initial plan would be to operate the clinic between the hours of 8 a.m. and 5 p.m., Schmidly said, but added the possibility of extended hours was currently under consideration. “We are excited about the possibility of being here. We are very humbled to be asked to be a part of this community,” he said. A motion was made, seconded and unanimously approved to allow the HCHD Finance Committee to enter into lease negotiations with CHRISTUS Trinity Mother Frances Health System with the goal of reopening the rural health clinic. Before the floor was opened to public comments, board member Barbara Crowson commented on a possible timeframe for the reopening. “No one has given a timeline, but we are talking about possibly within 15 days or so,” Crowson said. For more details on the HCHD Board of Directors meeting, please check back online or see the Sunday, July 30 edition of The Messenger. Next articleTexas Legislature – A Messy Deal!